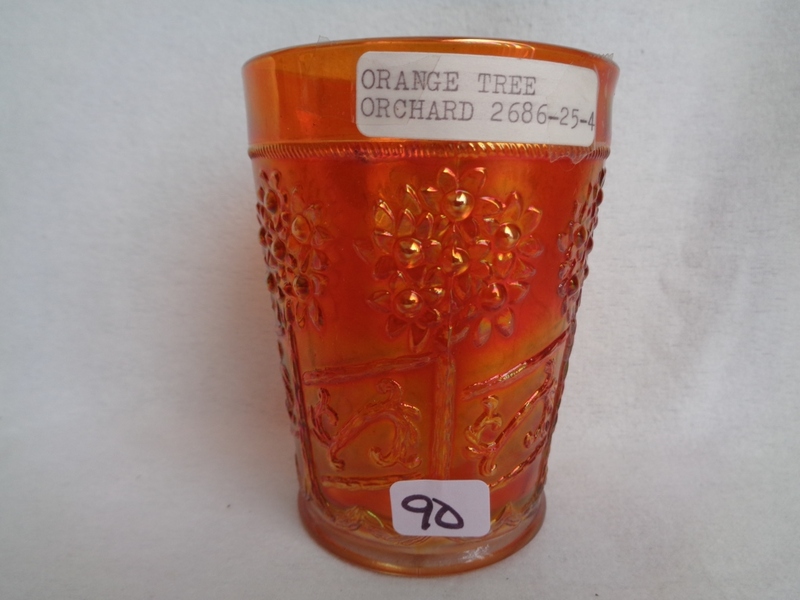 The Orange Tree Orchard has a pattern of orange trees connected by diagonal scrolled fences–making it easy to confuse with Orange Tree Scroll. 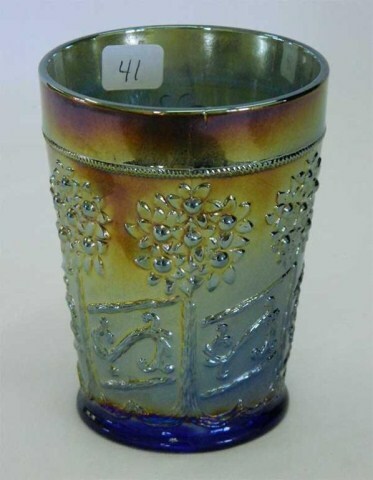 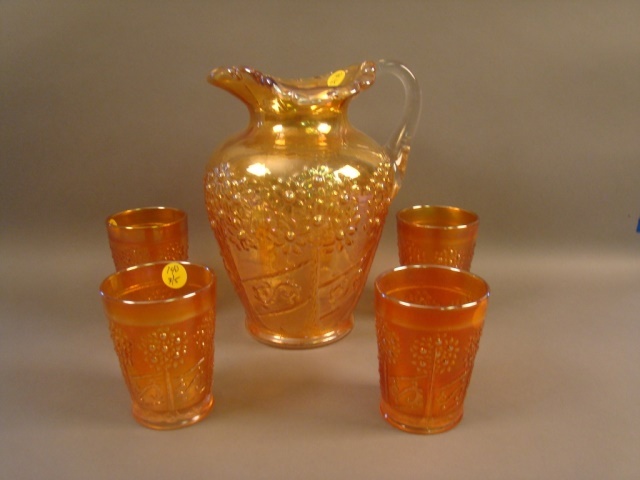 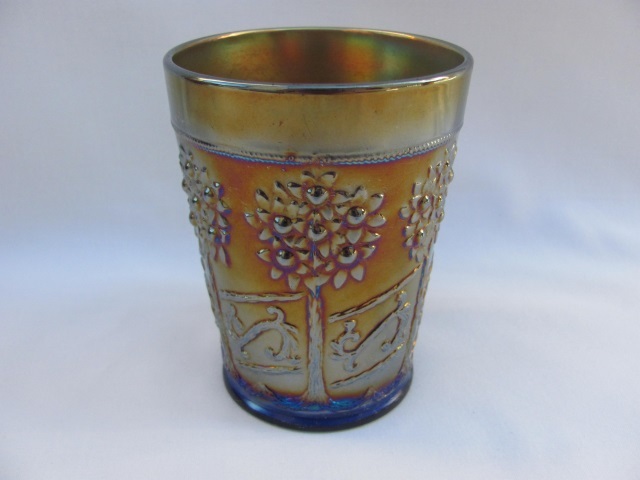 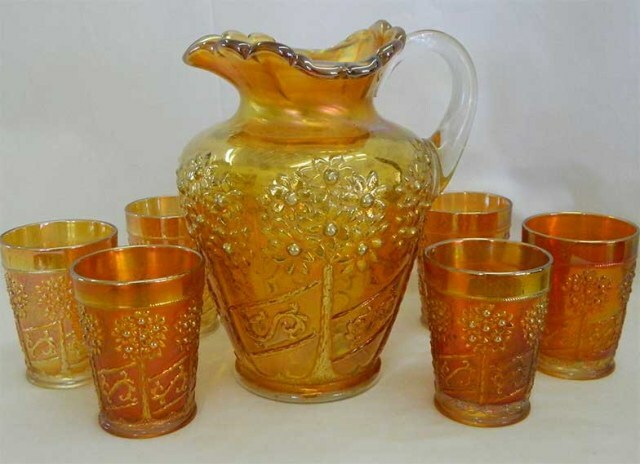 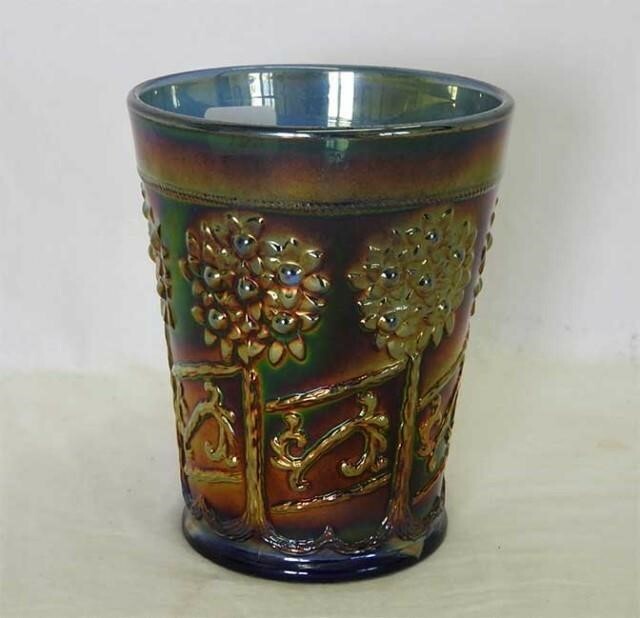 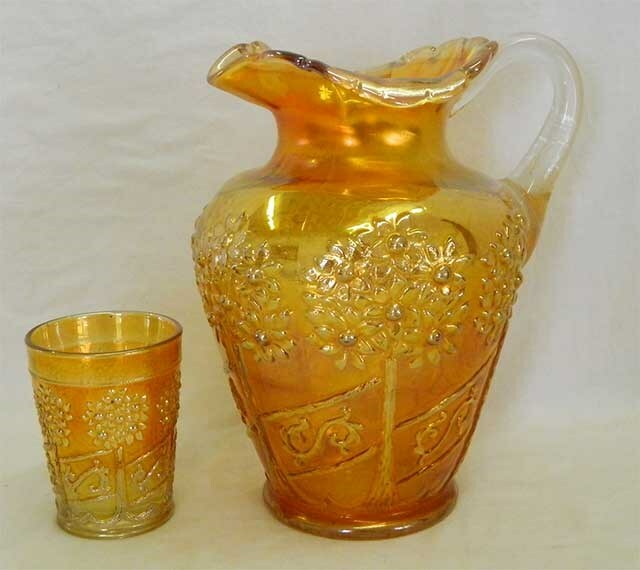 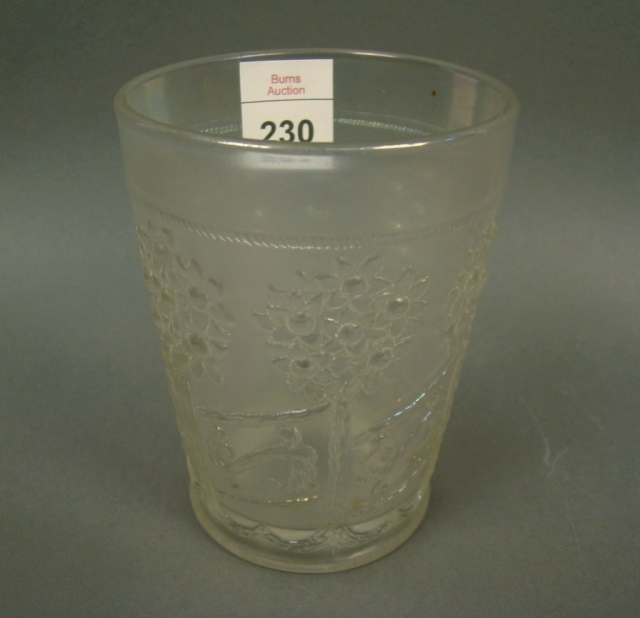 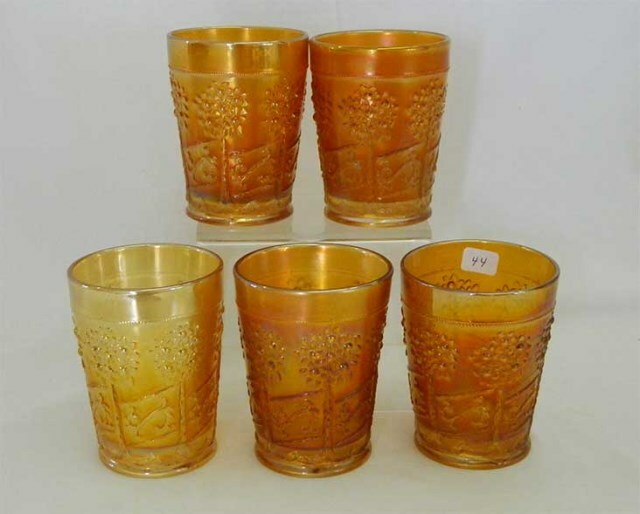 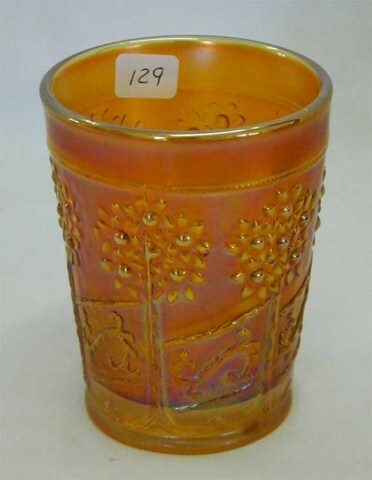 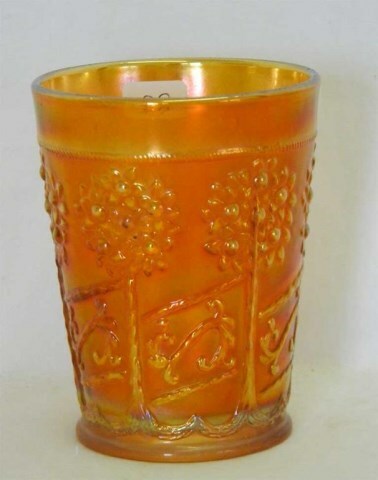 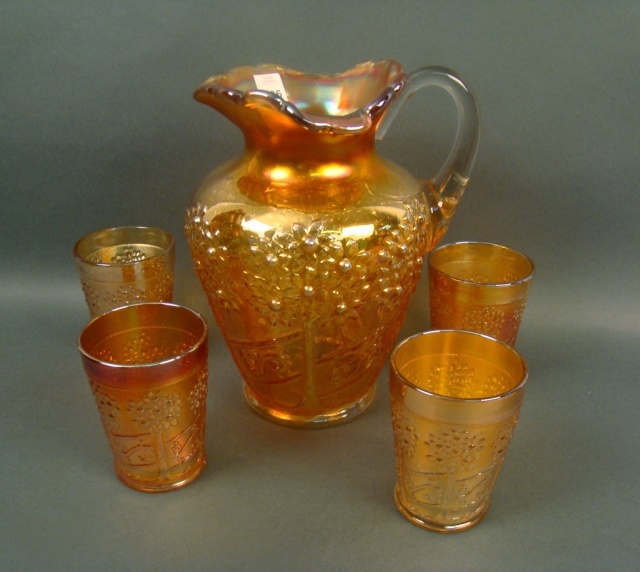 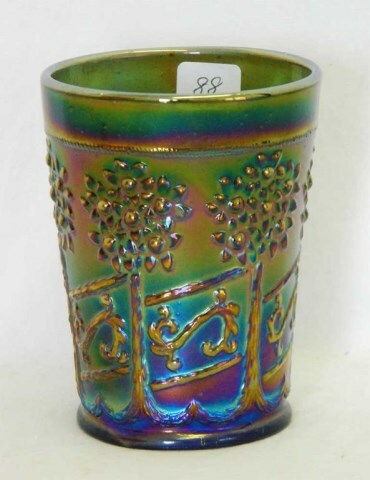 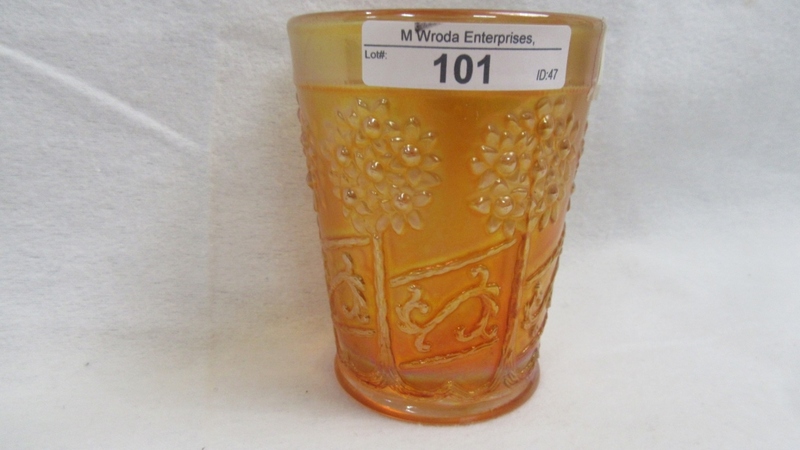 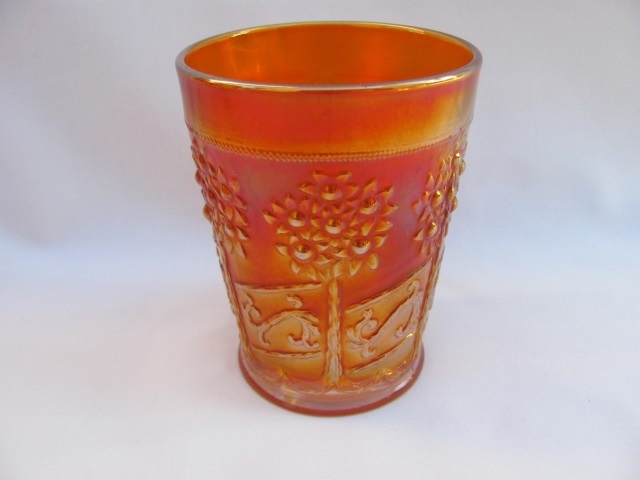 The design, as well as the shape of the pitcher, is quite different than Orange Tree Scroll. 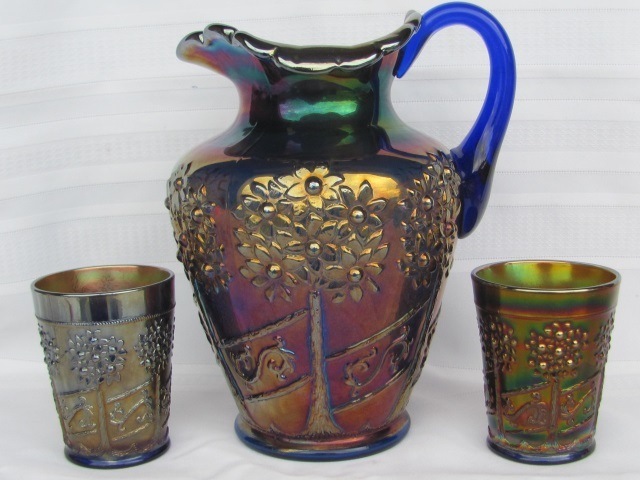 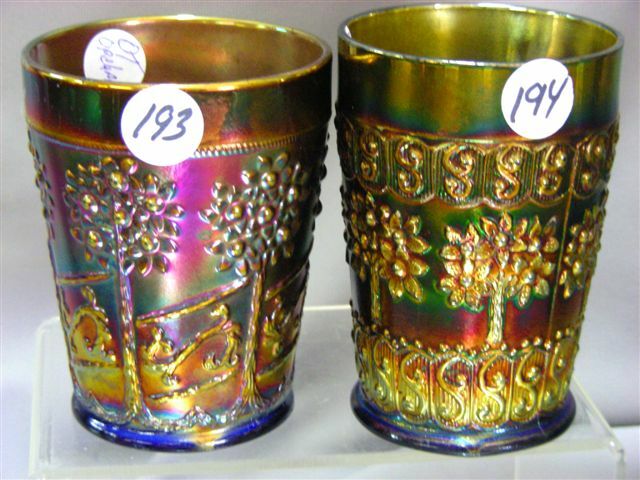 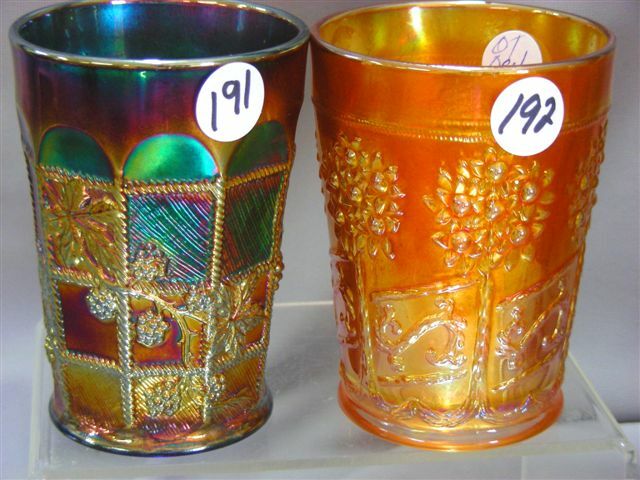 The vase on the right is the only one known. 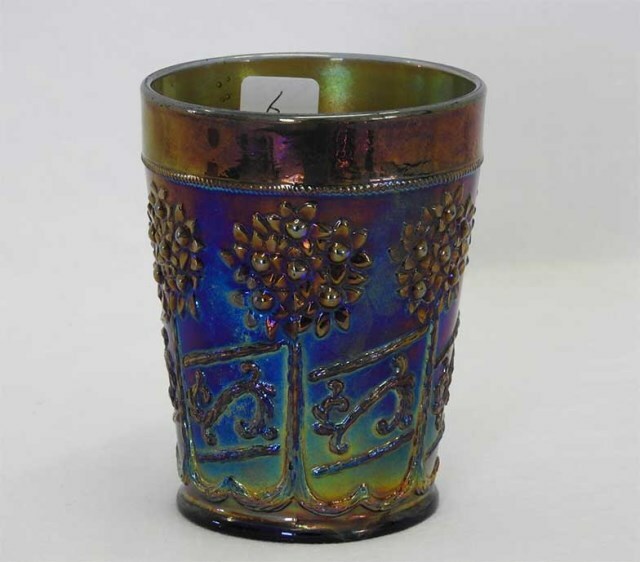 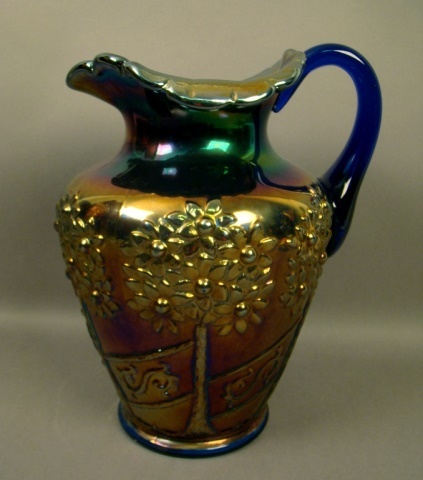 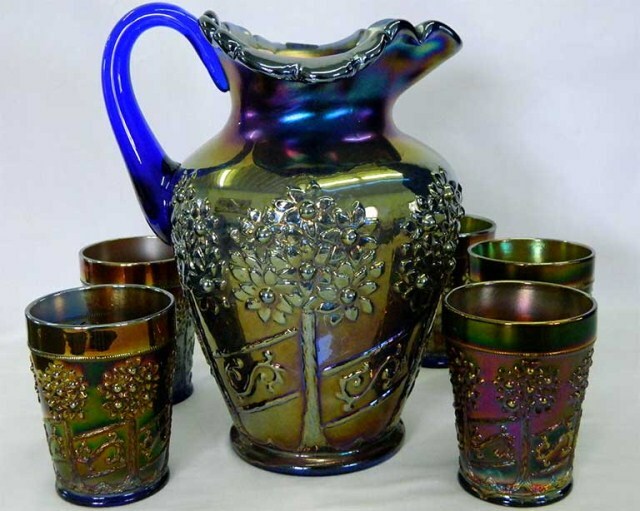 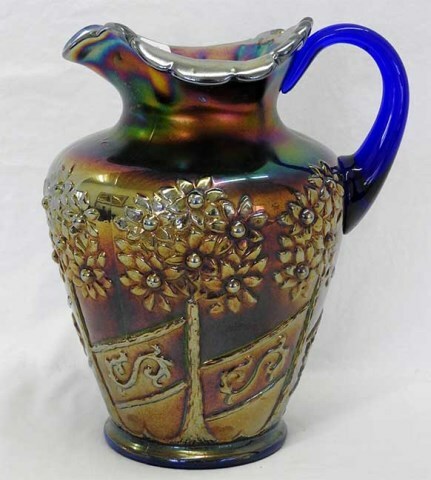 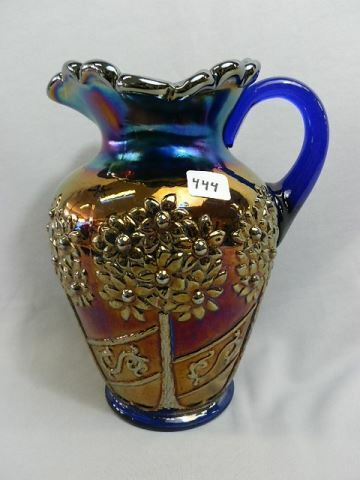 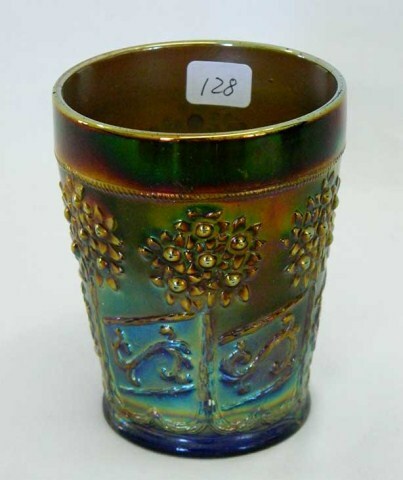 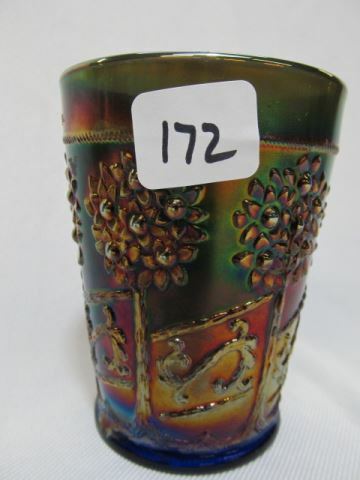 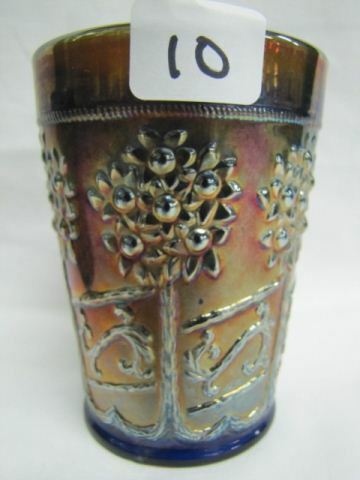 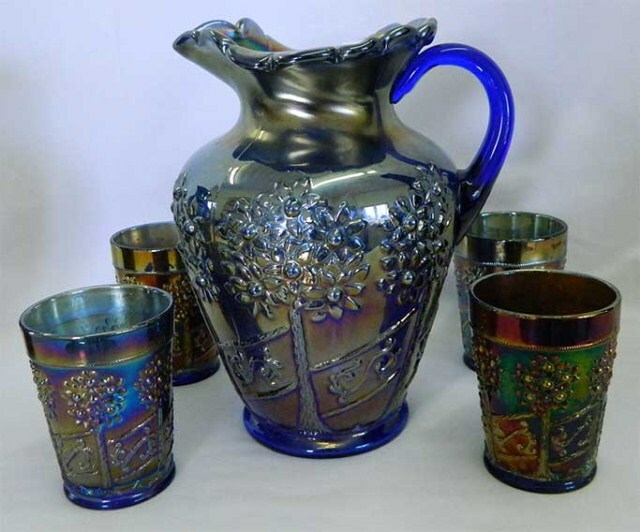 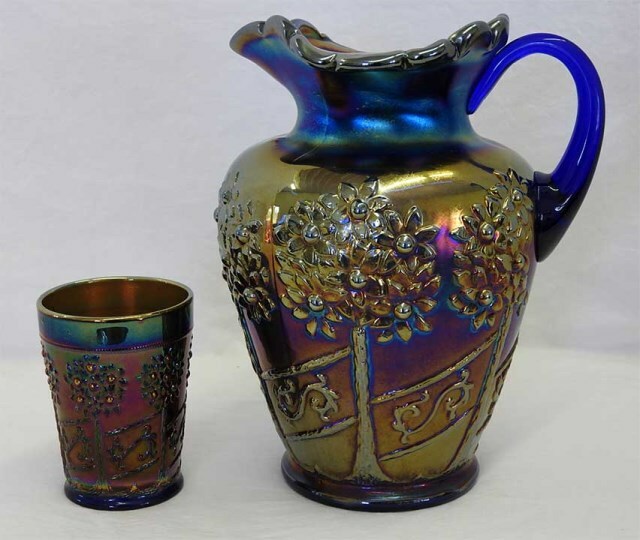 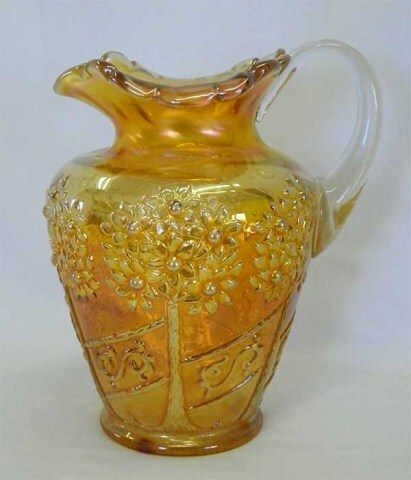 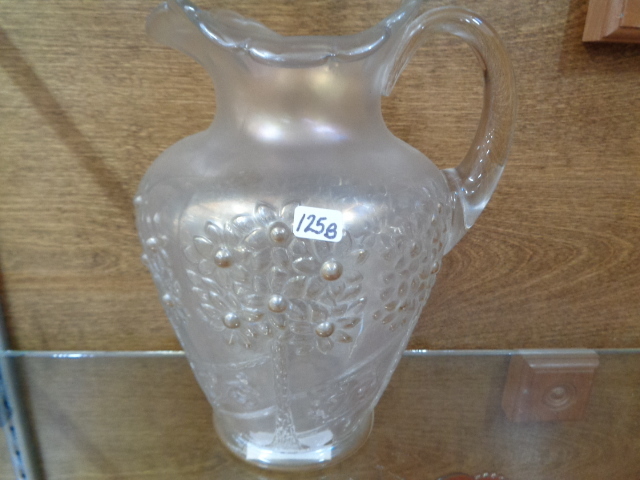 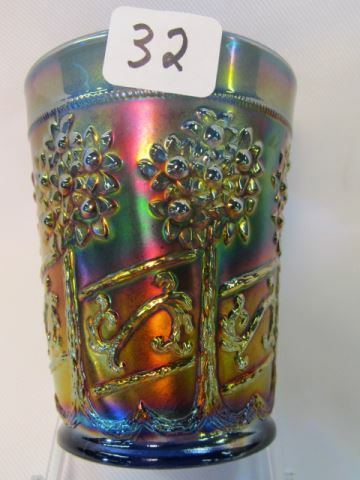 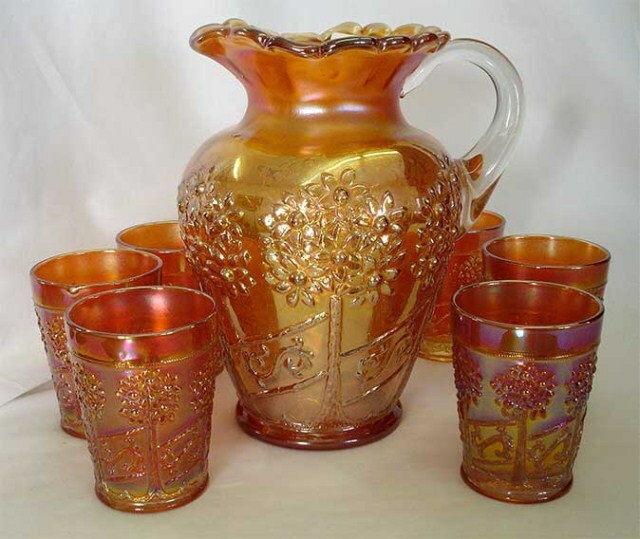 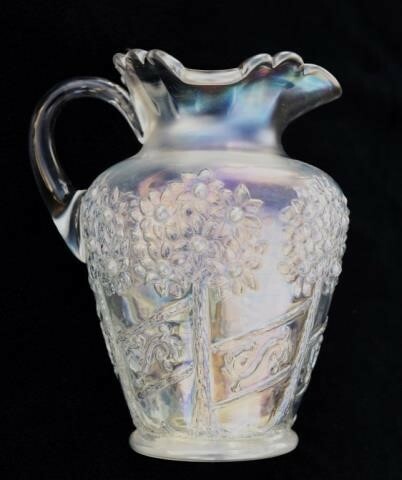 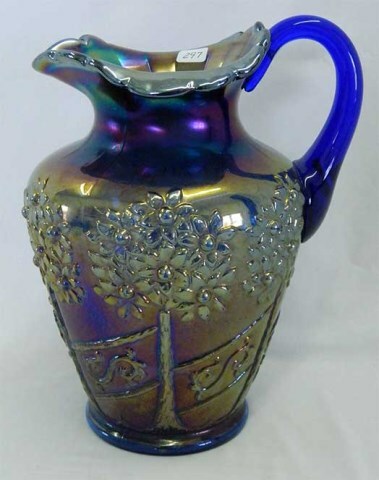 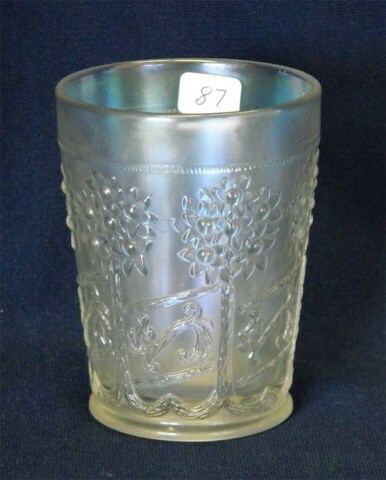 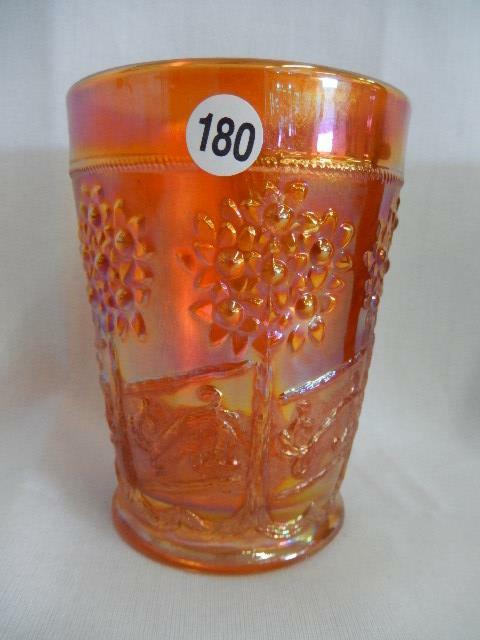 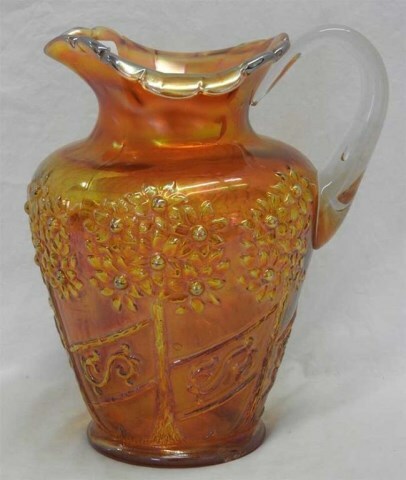 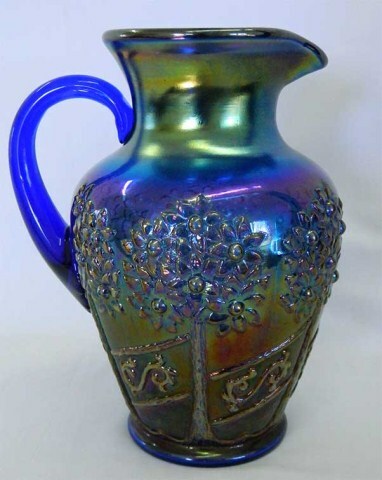 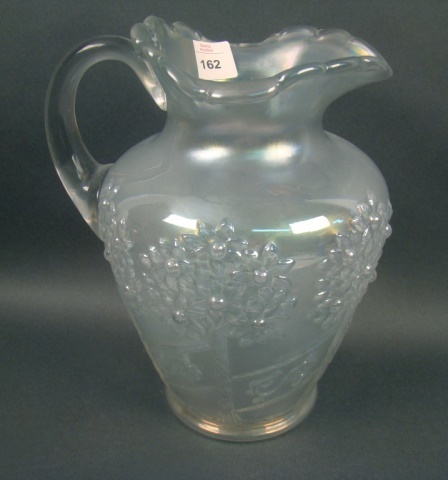 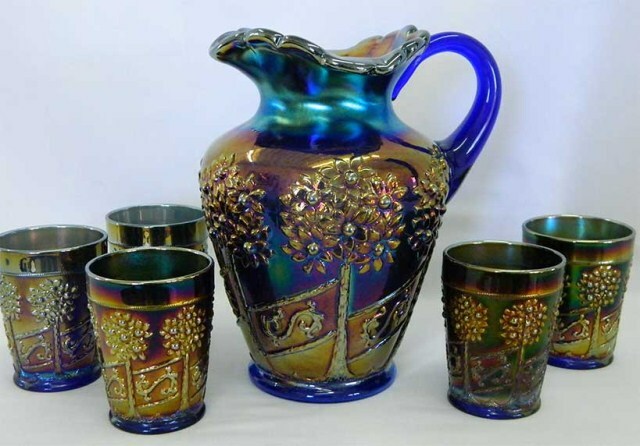 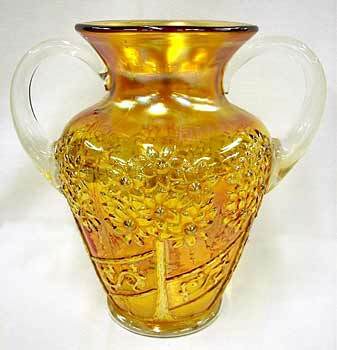 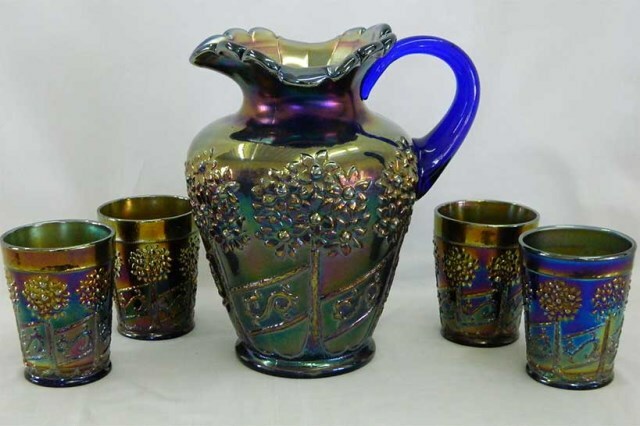 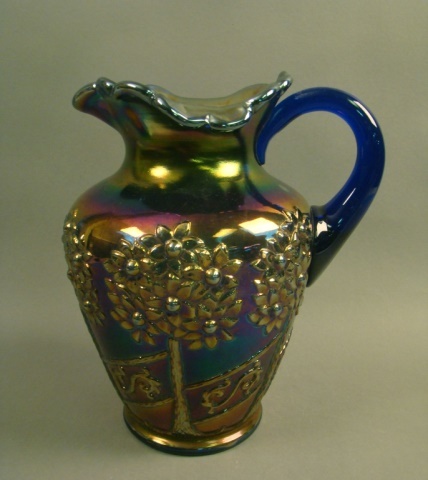 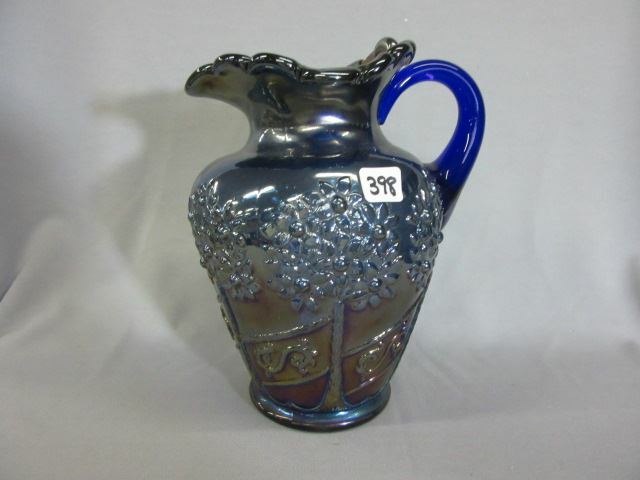 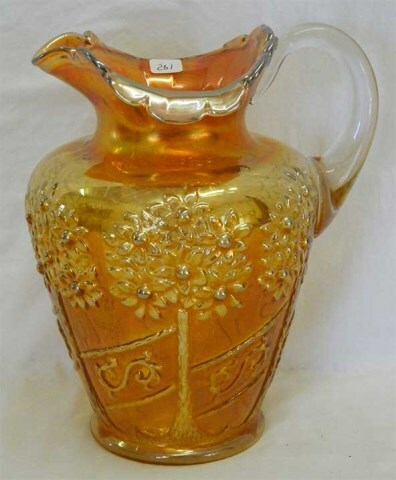 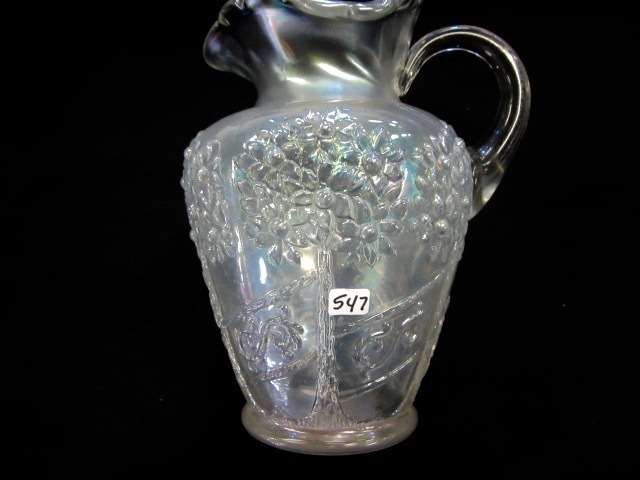 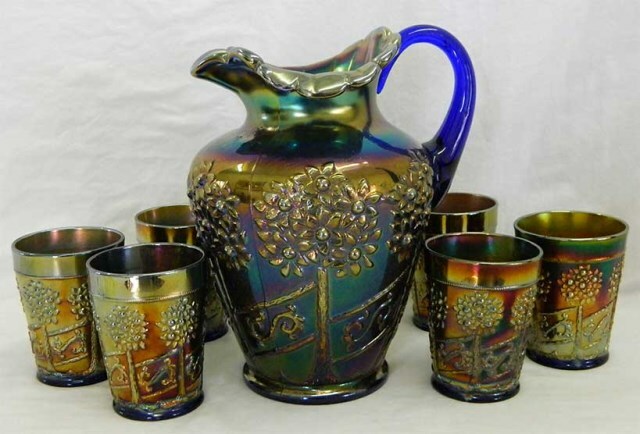 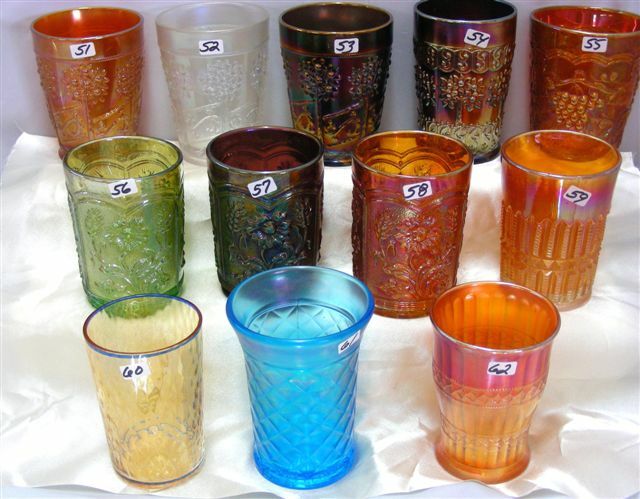 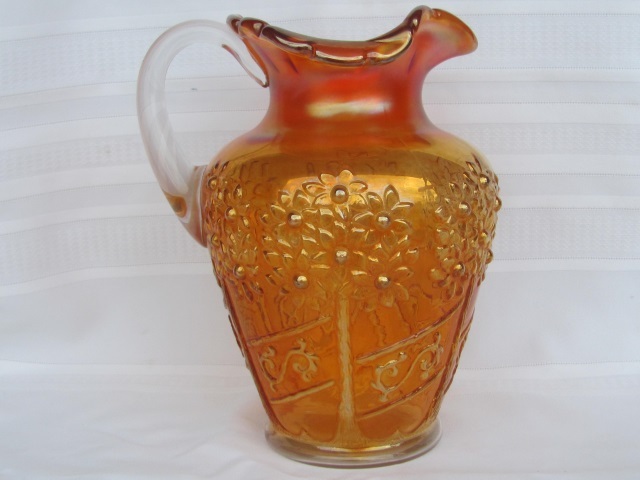 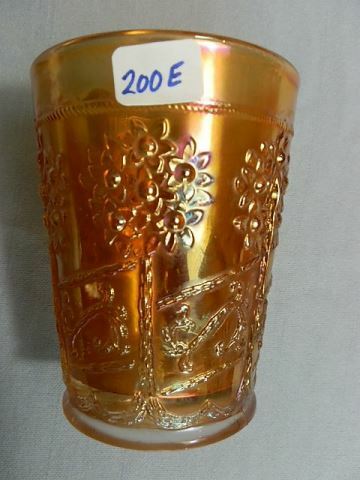 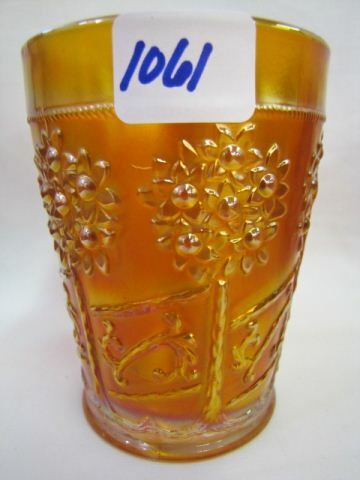 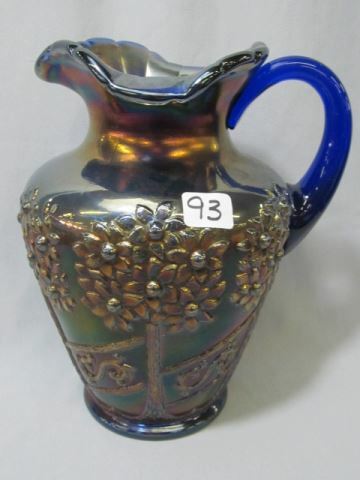 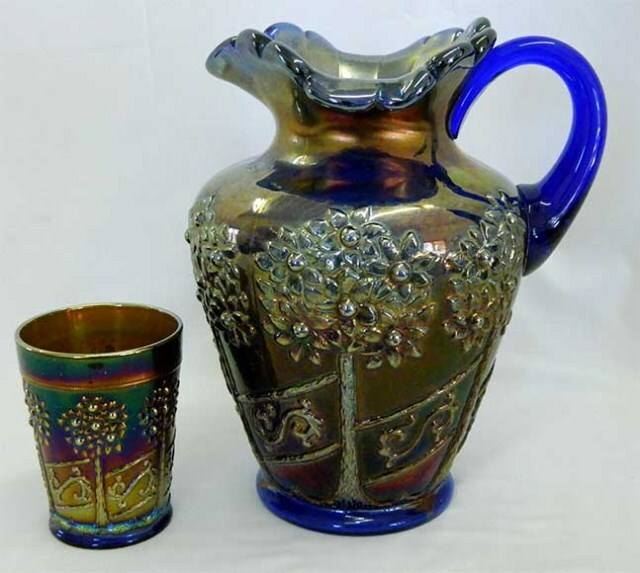 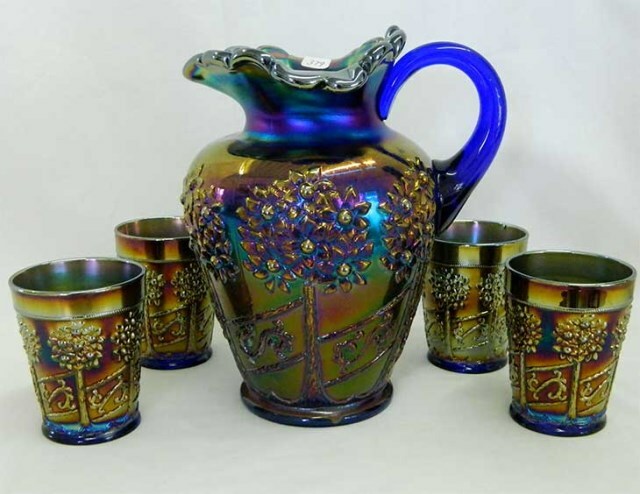 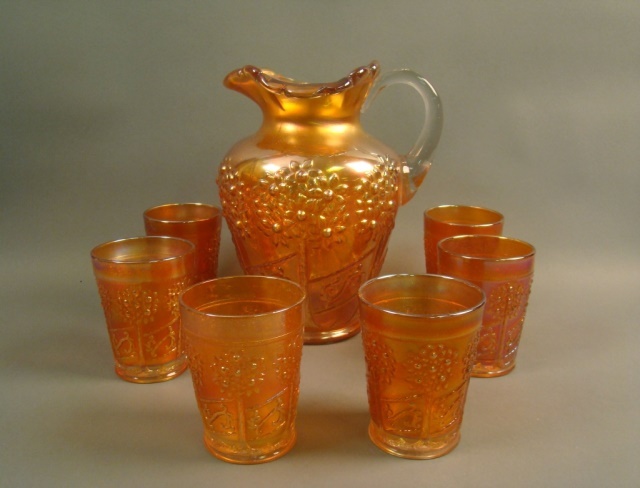 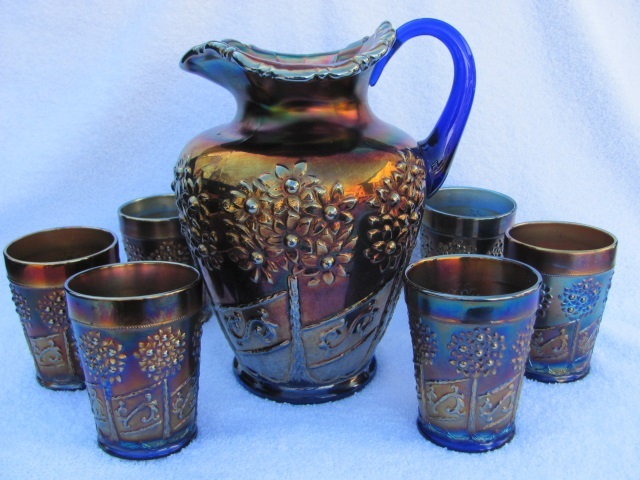 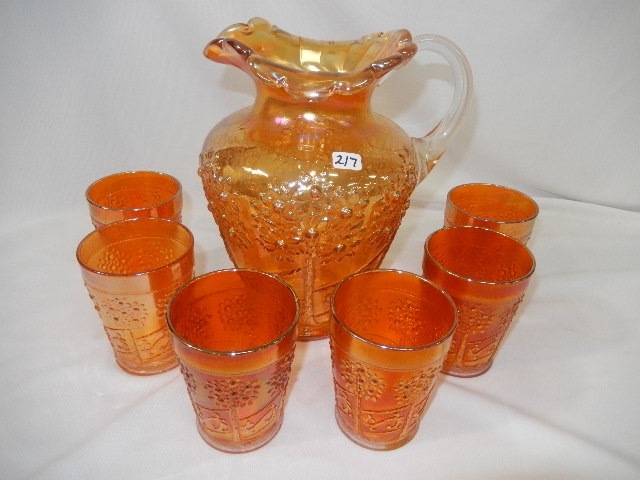 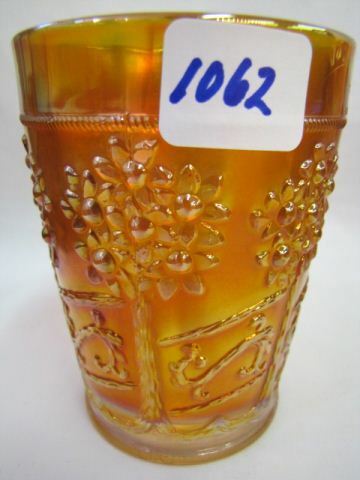 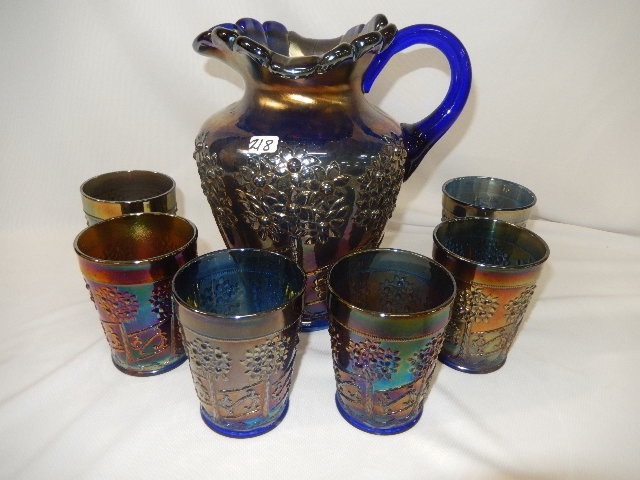 It was made from the pitcher, with handles applied, and sold for $7,000 in 1999. 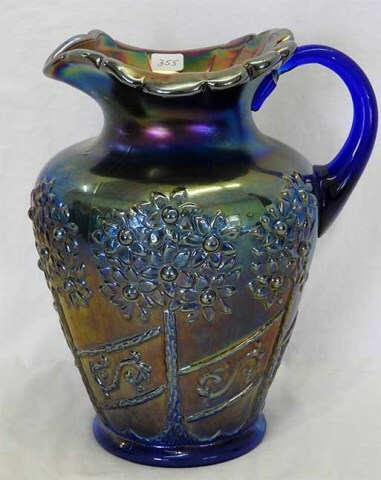 It sold again in 2007 for $14,500. 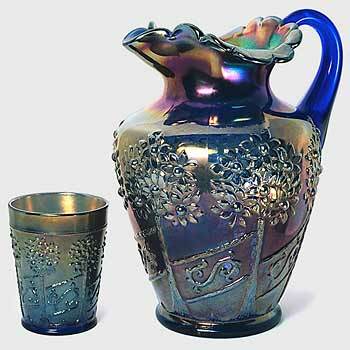 The story is that it was discovered in the mud of the Ohio River, not far from the Fenton factory. 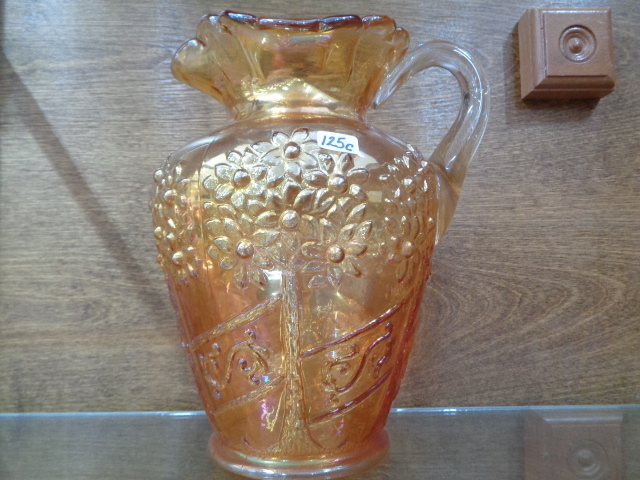 Presumably it had been lost in a flood that occured many years before.